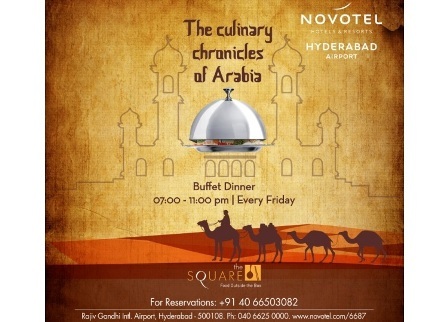 ARABIAN Friday Nights offers a meticulously designed menu with a good mix of vegetarian and non-vegetarian dishes. The spread will feature an elaborate extravagance to give guests a truly Arabian-experience. So, Set the tone for the weekend and experience exquisite cuisine at The Square.